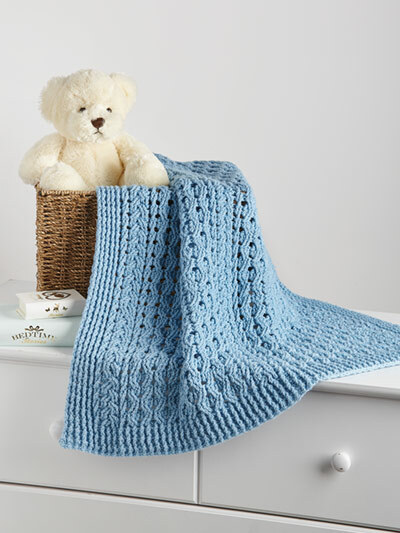 This blanket, designed to keep your little ones warm, is made with appealing cables that create a thick and durable texture. Design is stitched in 1 piece working in rows from the bottom up. 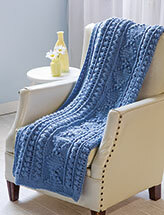 It is made using 7 skeins of sky blue Berroco Vintage DK #3 light-weight yarn. 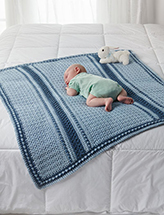 Size: 32 1/2"W x 42"L.